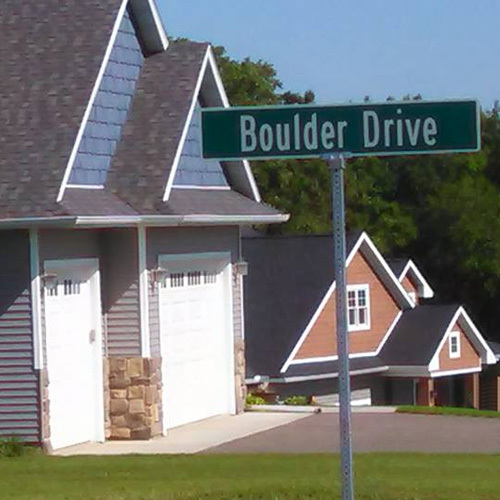 Build your new home in one of our scenic Menomonie neighborhoods. From our very first neighborhoods, Timber Ridge and Timber Canyon, we are known for creating beautiful, well-maintained neighborhoods with harmonious color schemes. 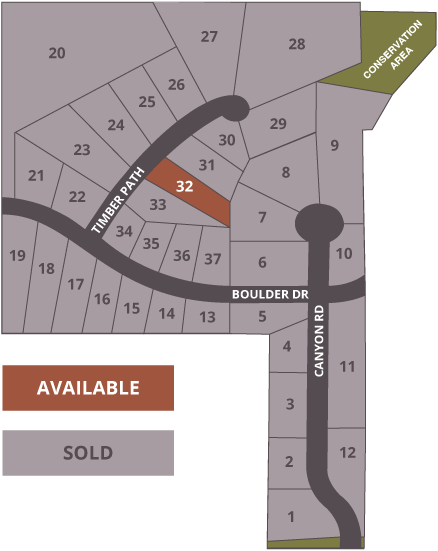 Timber Canyon offers many large lots that have a country feel inside the city limits. The children of Timber Canyon will attend Wakanda elementary school. With a central location the subdivision is located near downtown Menomonie, Menomonie high school, UW-Stout and is only a quarter mile from highway 29, which makes commuting to the twin cities a breeze. These lots start at .75 acres and offer beautiful views and walkout basements. Some lots are wooded, and the whole 50-acre development is in a very private setting. Lot #09 | $60,000 | 4.39 Acres | View this listing. Lot #32 | $52,900 | 0.87 Acres | View this listing. Lot #37 | $45,900 | 0.63 Acres | View this listing. Come and check it out for yourself. The Timber Canyon subdivision is located west on Hwy 29 off of Hwy 25. Turn right on Meadow Hill Dr then left onto Timber Canyon Rd. Timber Valley offers the peace and quiet of country living with the conviences of the city only a short drive away. The children of Timber Valley will attend Oaklawn elementary. The subdivision is just a short drive from downtown Menomonie, Menomonie middle school, and UW-Stout. Head north on Cty Rd B for easy access to Hwy 29 and I-94. Call 715.505.0782 for pricing and more information. Come and check it out for yourself. The Timber Canyon subdivision is located west of Menomonie off of County Road J. Turn left on 510th Ave.
With architectural control over each home built in our neighborhoods, we guarantee your home will be unique and beautiful. This control also ensures the value of the homes in the neighborhood will remain consistent.